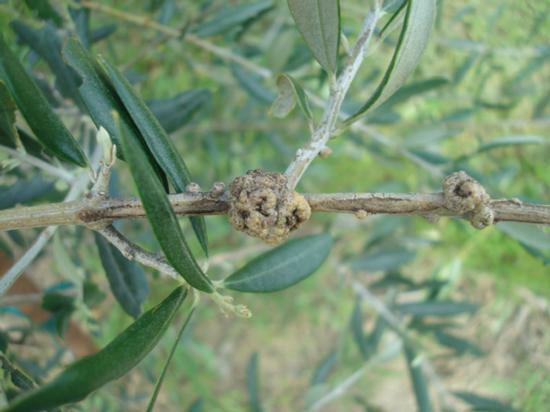 Olive knot, caused by the bacterium Pseudomonas savastanoi, is one of the most important diseases of olive worldwide and the geographic distribution of the pathogen is expanding with increased global olive production (7). Within the past decade, first reports of the disease have emerged from commercial olive orchards in Nepal (2), southern Australia (6), Turkey (3), and Egypt (1). Economic losses due to infection result from both reduced yield and fruit quality (8,9). Additionally, galls or “knots” girdle trunks, stems, and twigs, resulting in shoot mortality. The disease has been in California for over a century, with the first find in Merced County in 1898 (4,5). By the 1930s, the pathogen was prevalent in the Sacramento and San Joaquin Valleys (10). 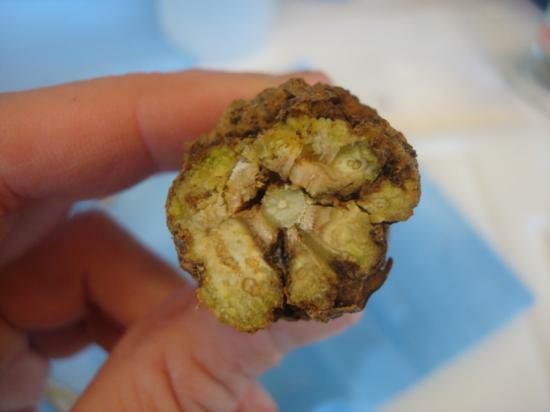 Conversely, the pathogen has not caused serious damage to olives south of the Tehachapi Mountains (10), where low rainfall and warmer climate are not conducive to disease development. 1. A.A, Moretti, C., Valentini, F., Hosni, T., Farag , N.S., Galal, A.A., Buonaurio, R. 2009. Olive knot caused by pseudomonas savastanoi pv. savastanoi in Egypt. Journal of Plant Pathology 91: 231-240.
pv. savastanoi in Nepal. Plant Pathology. 58:393. 3. Basim, H., Ersoy, A. 2001. 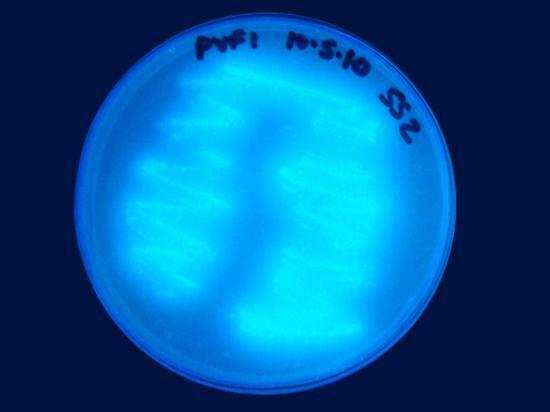 Identification of Pseudomonas savastanoi pv. savastanoi, olive knot pathogen, by polymerase chain reaction. Phytopathology 91:S6. 4. Bioletti, F.T. 1898. Olive Knot. California Agricultural Experiment Station Report. 1895-96, 1896-97:237-238. 5. Bioletti, F.T. 1898. Olive Knot. California Agricultural Experiment Station Bulletin. 120:1-11. 6. Hall, B.H., Cother, E.J., Whattam, M., Noble, D., Luck, J., Cartwright, D. 2004. First report of olive knot caused by Pseudomonas savastanoi pv. savastanoi on olives (Olea europaea) in Australia. Australasian Plant Pathology. 33: 433-436. 7. Penyalver, R., García, A., Ferrer, E., Bertolini, E., Quesada, M.M. Salcedo, C.I., Piquer, J., Pérez-Panadés, J., Carbonell, E.A., del Río, C., Caballero, J.M., López, M.M. 2006. Factors affecting Pseudomonas savastanoi pv. 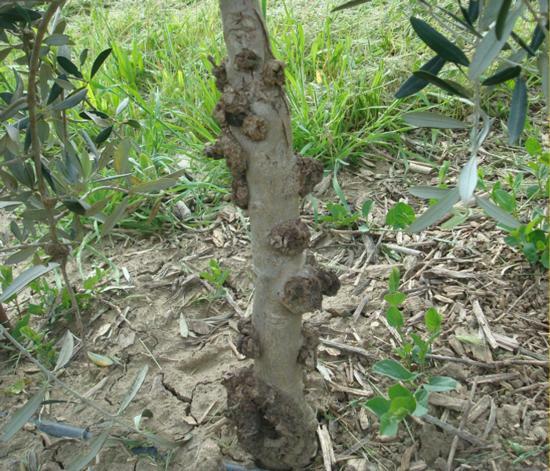 savastanoi plant inoculations and their use for evaluation of olive cultivar susceptibility. Phytopathology 96:313-319. 8. Schroth, M.N. Hildebrand, D.C., and O’Reilly, H.J. 1968. Off-flavor of olives from trees with olive knot tumors. Phytopathology 58:524-525. 9. Schroth, M.N., Osgood, J. W., Miller, T.D. 1973. 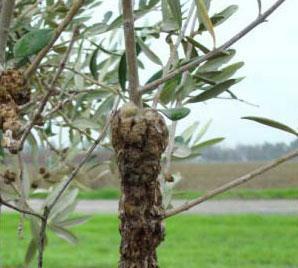 Quantitative assessment of the effect of the olive knot disease on olive yield and quality. Phytopathology 63:1064-1065. 10. Wilson, E. 1935. 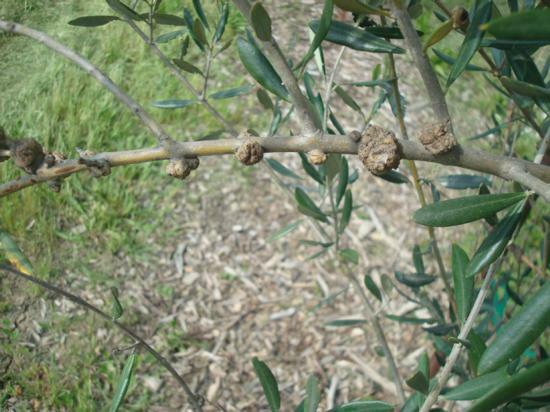 The olive knot disease: its inception, development, and control. Hilgardia 9:233-264.